When you think of Scotland and Sligo Rovers, there isn’t a generation of supporters who couldn’t name a couple of players from the land of lochs and legends – beginning with the arrival of Bob Preston in 1934, the earliest Rovers manager on record who holds the distinction of also being the first of many player-coaches at the club. For those of a certain vintage, there was goal-scoring dynamo Johnny Armstrong whose club record of 138 goals remains intact and looks less and less likely to be matched as time goes on. Fast forward to the 1970s and you have sensational Celtic loanee Pat McCluskey lighting up The Showgrounds and Mick Leonard forming part of a formidable front three that landed the 1977 League of Ireland title. In 1994 Willie McStay etched his name in Rovers folklore forever as the player-manager who guided the club to an historic treble. 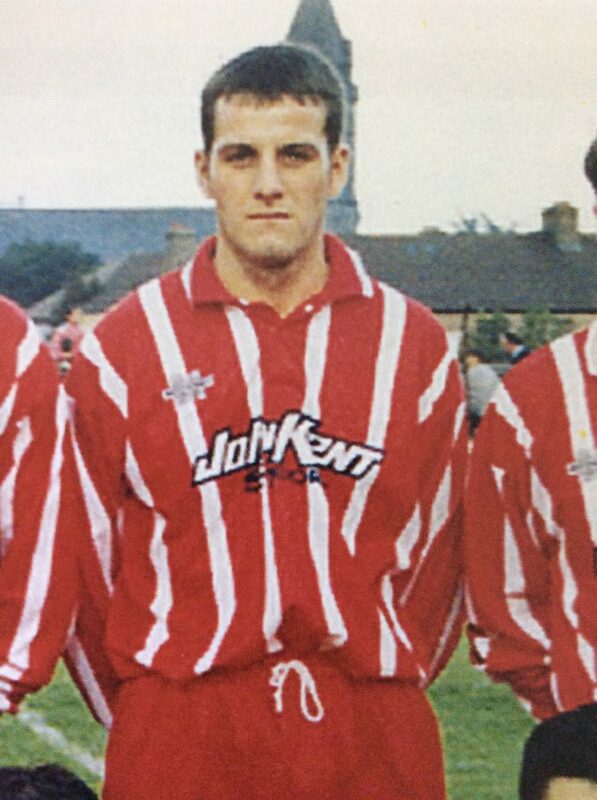 Mark Hutchison would become a regular in the red and white during the mid to late 90s and again in the new century, while in 2010, veteran centre-back Jim Lauchlan brought his vast experience to help solidify a team who would win a League Cup and FAI Cup double. Even in today’s squad, the ranks boast a quartet of Rhys McCabe, Lewis Morrison, Alistair Roy and Calum Waters. In amongst this myriad of great Scots is a man who dazzled supporters in the early 90s, topping the goalscoring charts in two of his three seasons at The Showgrounds. Eddie Annand joined The Bit O’Red as a 19-year-old loanee from Partick Thistle in 1992. While many will remember Annand for his contributions in the 1993-94 season, it is easy to forget that the club started that First Division campaign in abysmal fashion. It would have been easy for heads to drop, but Eddie knew he and his teammates were still destined to have a good season. For him the belief that was instilled in them to ultimately win the title could not have been achieved without the management style of Willie McStay. For the full interview with Eddie, see this week’s Sligo Weekender newspaper – in shops now!